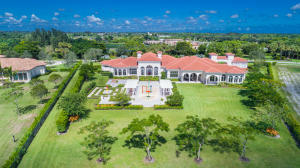 Stone Creek Ranch is Palm Beach County’s most prestigious community with over 187 acres of sequestered lush landscaping and glistening lakes in Delray Beach, Florida. Stone Creek Ranch offers an elite lifestyle of tranquility and pure elegance. 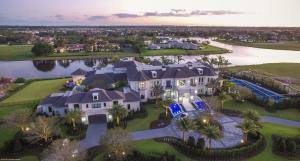 This community’s awe-inspiring grand custom estate homes were constructed by some of the country’s leading builders including Kenco Custom Homes, Terence Cudmore Builders, Courchene Development, and Frankel-Infinity Custom Estates. 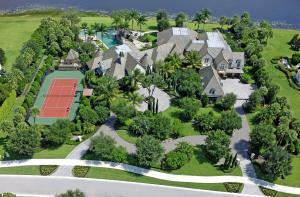 Once Stone Creek Ranch is finished it will be home to 37 distinct private waterfront estates on 2 ½ acres or larger. These estates are notorious for their exquisite details throughout the entire interior and exterior featuring panoramic water views, prodigious posh lanais, private guest accommodations, lavish resort style pools with majestic waterfalls, and personal sports courts. Entertaining is a breeze with generous living space and the absolute best in modern conveniences, these homes range anywhere from 6,500 to over 14,000 square feet. Stone Creek Ranch offers 24 hour manned security, mile and a half long picturesque walking and biking trails and a breathtaking signature triple-arched stone bridge. Stone Creek Ranch is ideal for those who want to embrace the sophisticated estate style living and be only minutes from ravishing beaches, world renowned shopping and award winning. Make your dreams a reality in Stone Creek Ranch. Information in regards to Delray Beach real estate and Stone Creek Ranch homes for sale or other listings may have come from a cooperateive data exchange service. All rights reserved. Information deemed to be reliable but not guaranteed. The data relating to real estate for sale on this website comes in part from a cooperative data exchange program of the multiple listing service (MLS) in which this real estate firm (Broker) participates. Listing broker has attempted to offer accurate data, but buyers are advised to confirm all items. We provide all information about Delray Beach homes for sale and Stone Creek Ranch real estate or other listings as is with absolutely no warranties. This site will be monitored for 'scraping' and any use of search facilities of data on the site other than by a consumer looking to purchase real estate, is prohibited. Feel free to contact our agents to find a great Stone Creek Ranch Delray Beach specialist. Stone Creek Ranch in Delray Beach is really a wonderful location. The Delray Beach location is amazing. But, if this isn't the community for you, you might like one of the other local communities like Delray Beach Shores or Chevy Chase or Vista Del Mar that are located here as well.